Snapchat CEO Evan Spiegel said he's in the midst of planning for an initial public offering. 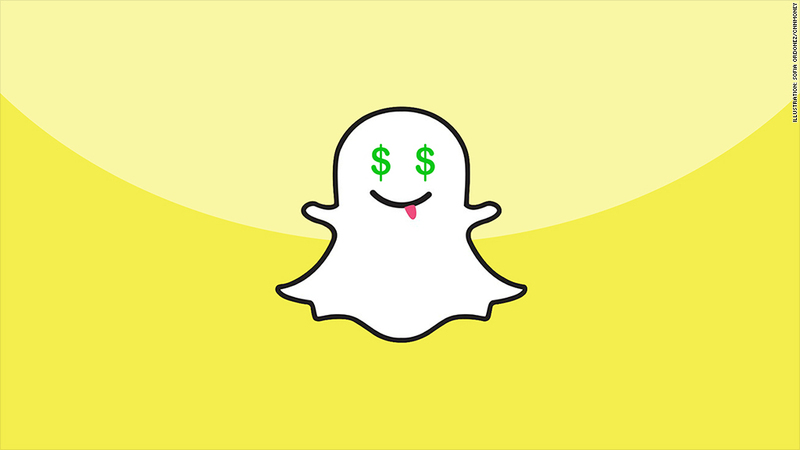 Snapchat is planning for an IPO. Evan Spiegel, the founder and CEO of the popular messaging service, revealed Tuesday that his company is preparing for an initial public offering, but wouldn't provide details on timing. "We need to IPO. We have a plan to do that," he said during a talk at an annual Re/code conference in Rancho Palos Verdes, Calif.
Spiegel also said that there's no doubt the current tech bubble will burst. "I think that people are making riskier investments and ... there will be a correction," he said in an interview with Re/code's Kara Swisher and Walt Mossberg. "[I]t's definitely something we factor into our plans." The four-year-old company, which offers a smartphone app that is popular with teens, declined Facebook's (FB) $3 billion acquisition offer in 2013. Spiegel said he was not interested in entertaining any more takeover offers, maintaining that he wanted Snapchat to remain independent. "It's more fun that way," he said. In February, Spiegel was said to be looking to raise about $500 million in funding, which would value his company at roughly $19 billion. The firm closed a $485 million round of funding in December, putting its valuation at $10 billion, according to CB Insights.